Aside from the posthumous Oscar for Heath Ledger ("The Dark Knight") and best animated film for "The Incredibles," no superhero film has ever penetrated the top categories of the Academy Awards. Though regular honorees for their bombastic visual effects or thunderous, wall-to-wall sound, comic-book movies have been denied the upper reaches of achievement. Marvel Studios — one of the most dominant pop-culture juggernauts the movies have ever seen — hasn't won a single Academy Award. But there are signs that the deep freeze for superheroes is thawing. "Logan," James Mangold's acclaimed final chapter of Wolverine, the long-clawed "X-Men" character played by Hugh Jackman, is nominated for best adapted screenplay at Sunday's awards. The nod, which Mangold shares with co-writers Michael Green and Scott Frank, is the first screenplay nomination for a superhero film. That could be read as a sign that the film academy is finally starting to give in to the era's most bankable box-office force. Last year, "Deadpool" seemingly came just shy of scaling the Dolby Theatre walls after a quixotic awards campaign netted the hyper-violent and hyper-verbal R-rated film two Golden Globe nominations. This year, Patty Jenkins' female empowerment blockbuster "Wonder Woman" was considered a definite contender but came up short despite a nod from the Producers Guild. A tide may be turning just as the sensation and acclaim of Ryan Coogler's "Black Panther" has positioned the Marvel release to be a potential heavyweight at next year's Academy Awards. A decade after Christopher Nolan's "The Dark Knight" was denied a best picture nomination — an omission that sparked the academy's expansion of the best picture field from five films to up to ten — "Black Panther" is poised to score the first best-picture nod for a superhero film, not to mention potentially a host of other categories including directing, costume design, visual effects, production design, score and, maybe, Michael B. Jordan as supporting actor. 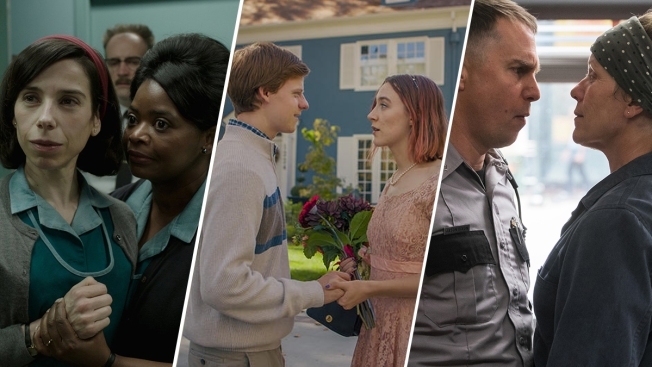 Any shift for the academy, though, may be less about changing tastes than the rising ambitions of filmmakers — like Coogler, Jenkins, James Gunn ("Guardians of the Galaxy") and Mangold — who are expanding the possibilities of the genre. "It's people opening up to consider something that might have been seen wholly as a money-making effort to see that in some cases these films might constitute more ambition than previously imagined," Mangold said of his nomination in an interview. "It's a stepping stone and it won't be the last." Mangold is a veteran of star-led but naturalistic character-driven dramas ("Walk the Line," ''Cop Land"). In "Logan" he endeavored to, like a revolution launched from within, invert most of the genre's conventions. Its title bares no sequel-signifying numbers, just a simple, unadorned name. "Logan" connects to no future installment but, after a 17-year run for Jackman's character, has the finality of death. Where other superhero films are all heroism and invincibility, the violent, R-rated "Logan" — styled after a Western — is filled with pain and vulnerability. It's a human-sized movie in a supersized genre. "I wanted to make my own kind of commentary about this kind of film, the comic-book film if you will, where there's huge amounts of casualties but they are largely unfelt by the audience," said Mangold. "Cities fall. Planets explode. Extras fall and topple. But the actual ending of lives is not felt. In a quest for scale, lives become cheap." Mangold speaks with both optimism for super-hero movies that can take the mold of any genre ("There's infinite possibility") and derision for the assembly-line product that Hollywood has often favored that give a filmmaker little room for personal expression. "At the point you're locked into all the design, casting and story choices that have already been made, you're hamstrung," said Mangold. "It's why films like 'Guardians' or 'Black Panther' or 'Wonder Woman' where they break free of some of the narrative-lock and style-lock that was coming from the previous films that I think you get the biggest sense of freshness." "Logan" grossed $616.8 million, vindicating the risk that Mangold and 20th Century Fox took in deviating from the formula. It was relatively cheap by superhero movie standards with a production budget of $97 million. The film opened all the way back on March 3, after premiering at the Berlin Film Festival, with little expectation of being remembered in Oscar season. Disney's "Black Panther" may do even better at next year's Oscars for many of the same reasons. It largely stands apart from Marvel's cinematic universe. It eschews many of the typical beats of a superhero film. And it's identifiably the work of a filmmaker. "If it gets in, it has more to do with Ryan Coogler than it does with any of the phenomenon around it," said Glen Weldon, author of "The Caped Crusade: Batman and the Rise of Nerd Culture." ''This film feels like the third film that a guy named Ryan Coogler would make. Though it's part of this arc, it does feel very personal. It does feel like it's about something." With Academy Awards ratings falling in recent years, the broadcast could certainly benefit from welcoming the most popular movies on the planet into the show. That would be quite a turnaround for the Oscars, where the closest a superhero film has come to winning best picture was when Alejandro Inarritu's "Birdman or (The Unexpected Virtue of Ignorance)" took the award in 2015. But that movie, starring Michael Keaton as a former superhero star, vilified the genre as a scourge for art. "When people tell me — and they tell me very often — 'I hate superhero films and they're all same,'" said Weldon, "I tell them, 'Yes, they have been but they don't have to be.'"